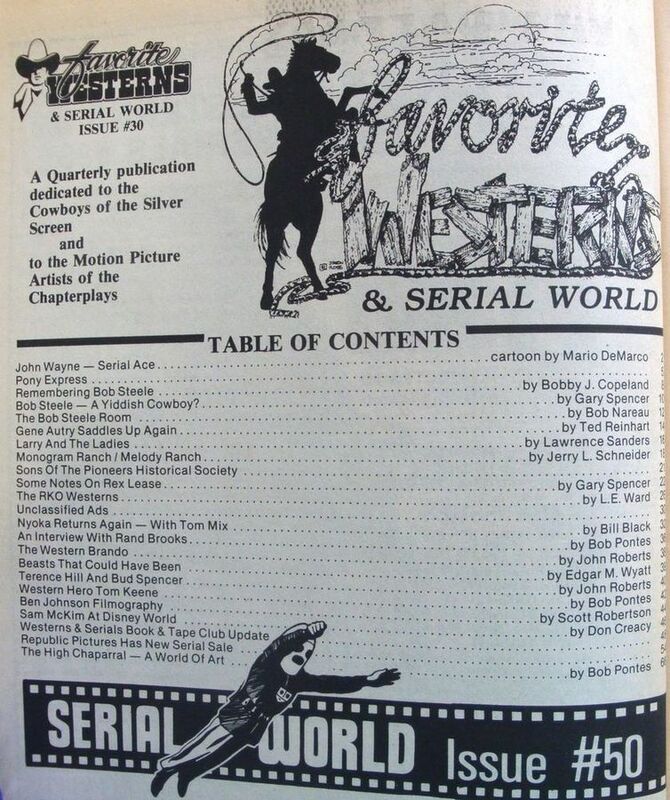 - For fans of serial chapter plays and western movies of the silver screen. 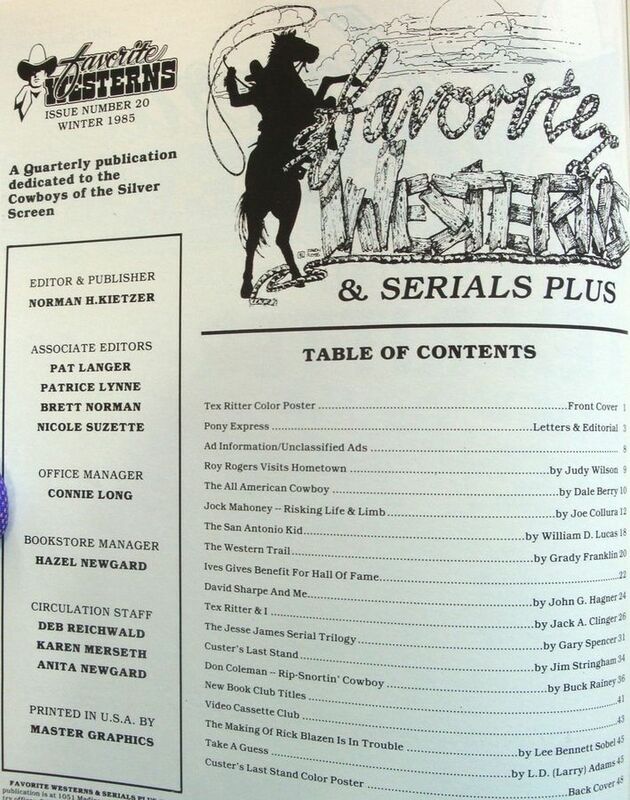 - Publisher/Editor: Norman Kietzer, (Minnesota). 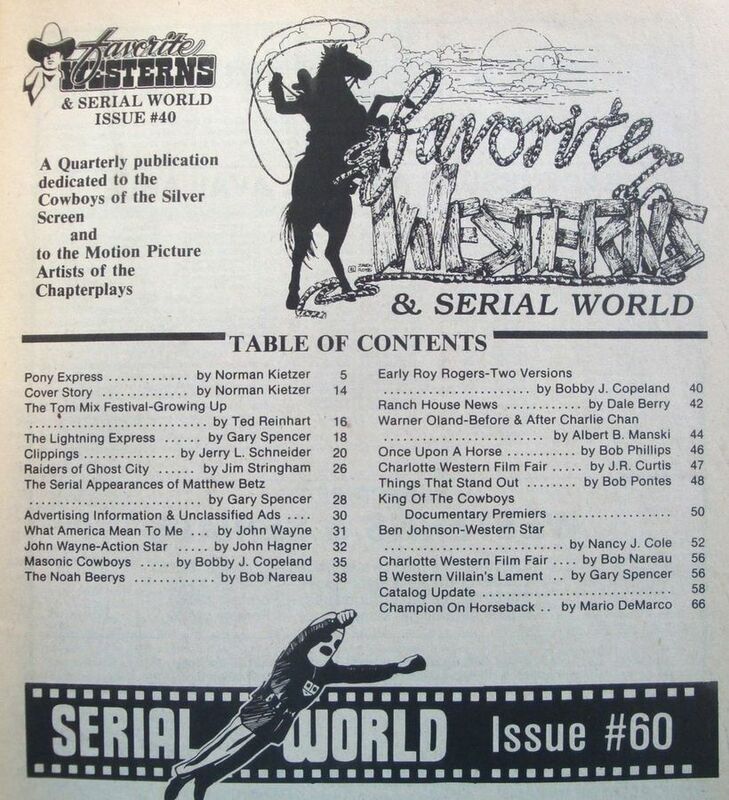 - First issue of Serial World was published in 1974. 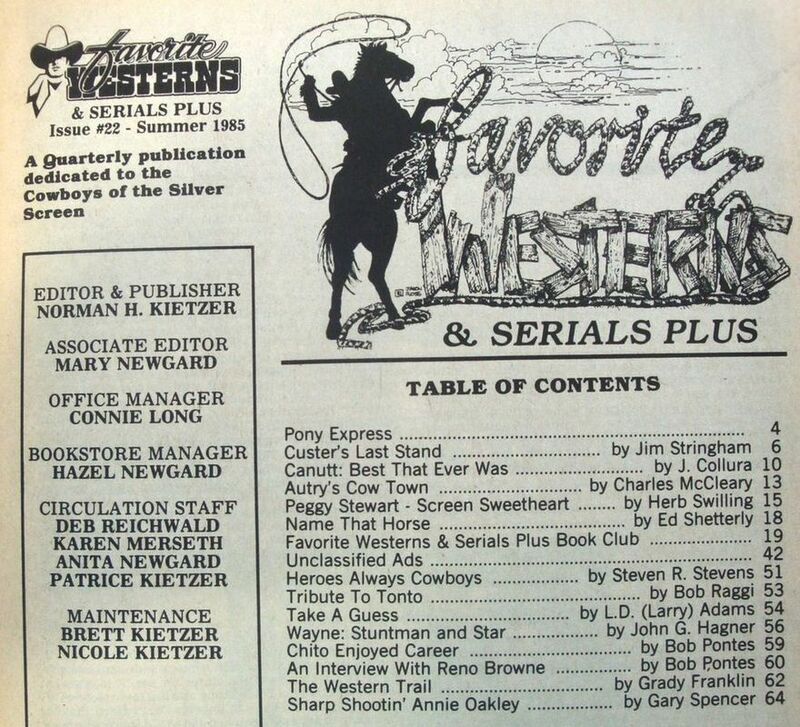 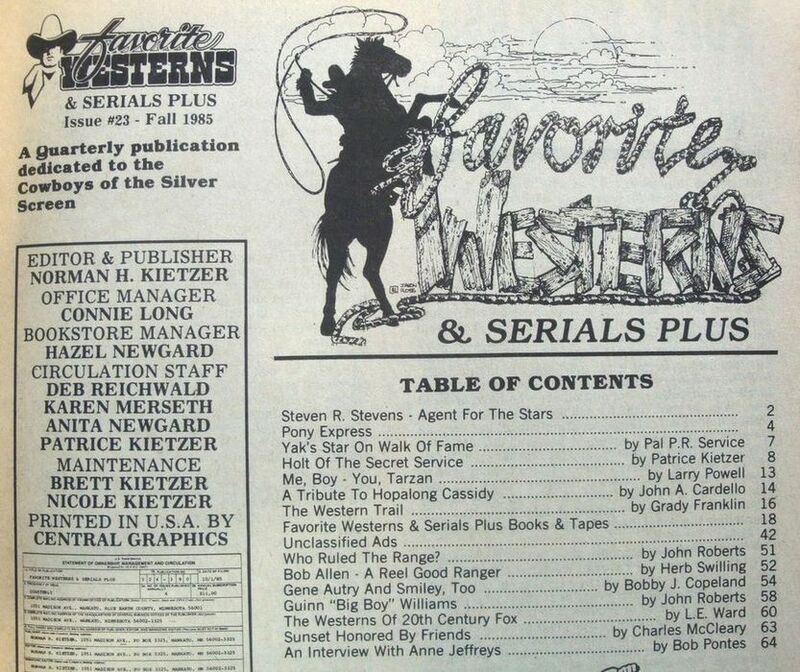 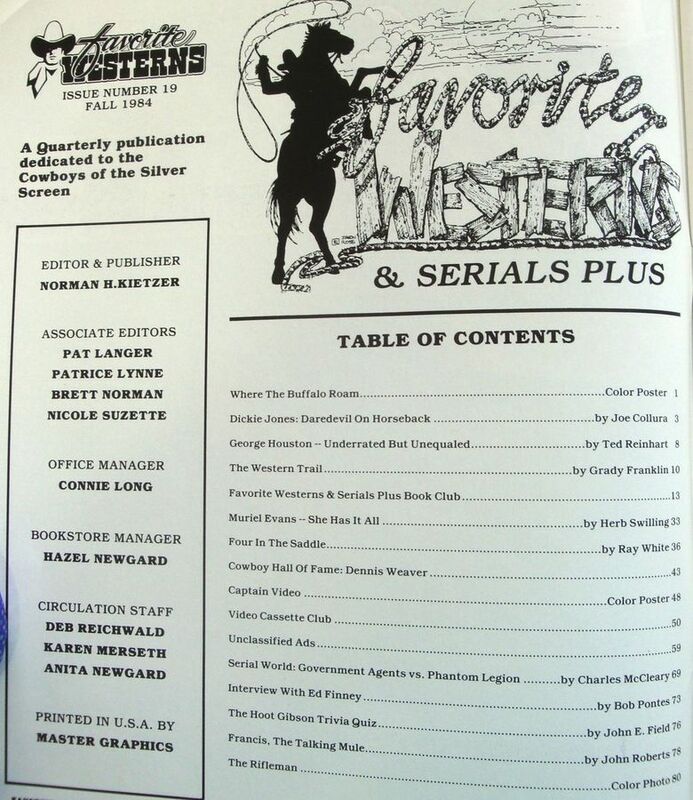 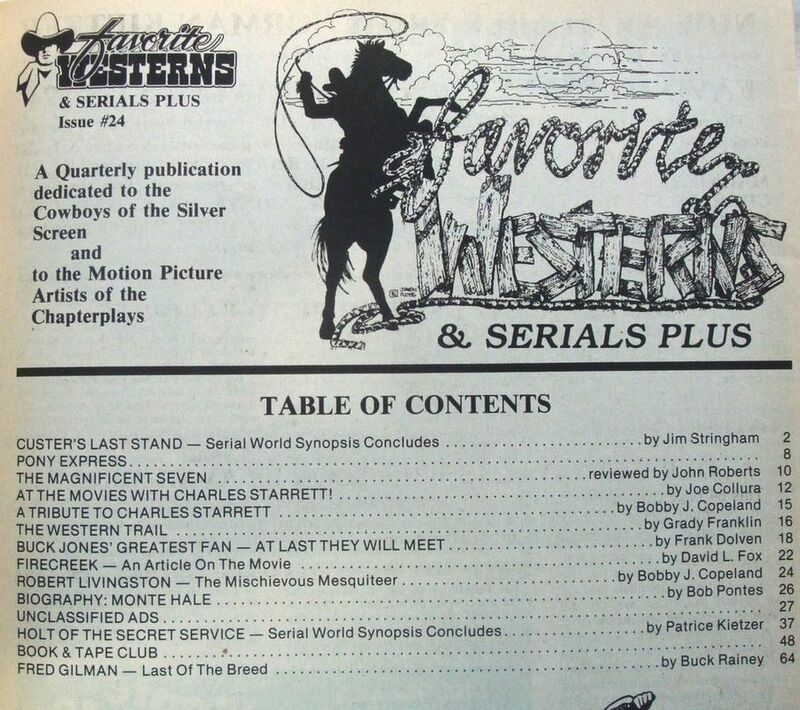 - First issue of Favorite Westerns was published in 1981. 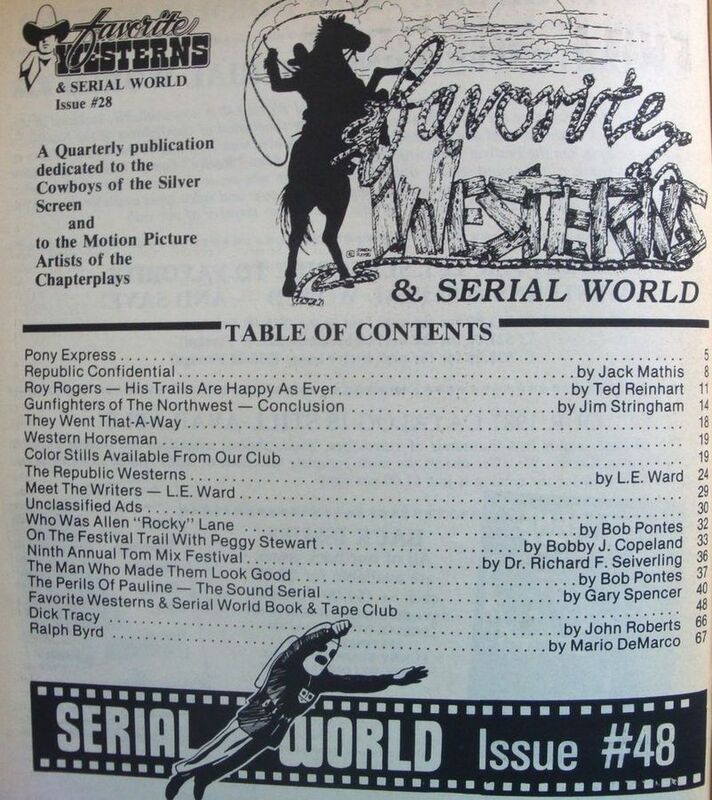 - They were merged into this publication in 1984. 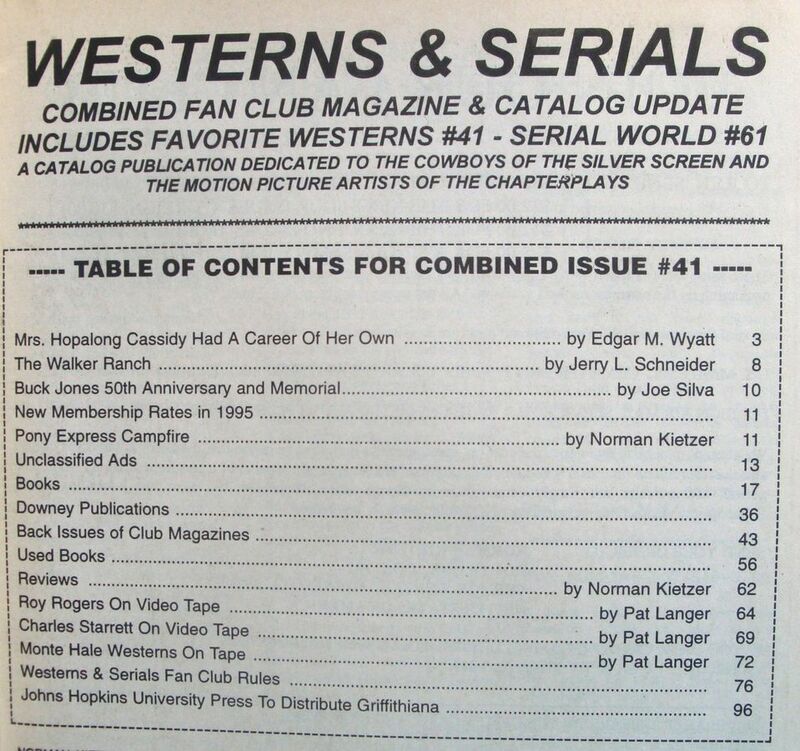 - Numbering of the new publication followed that of the separated fanzines. 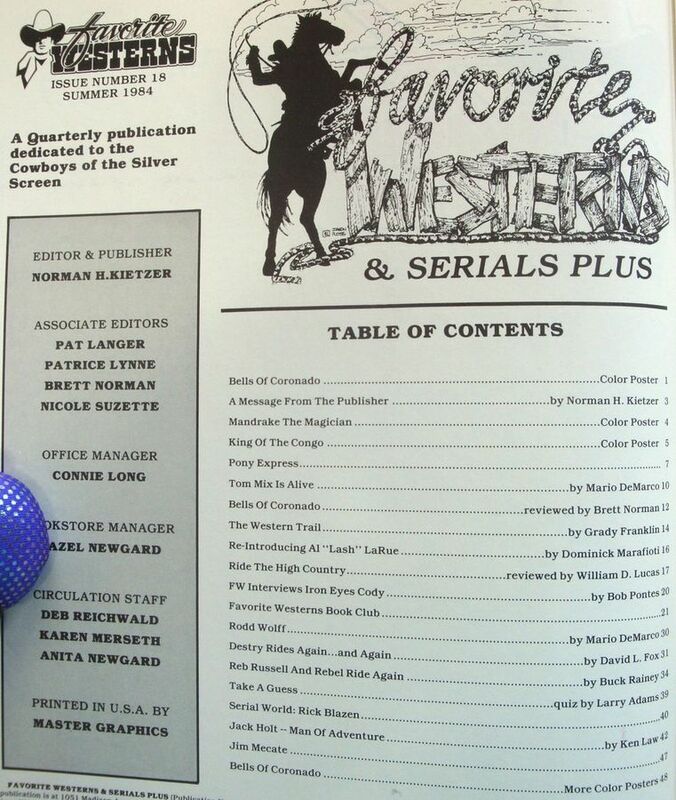 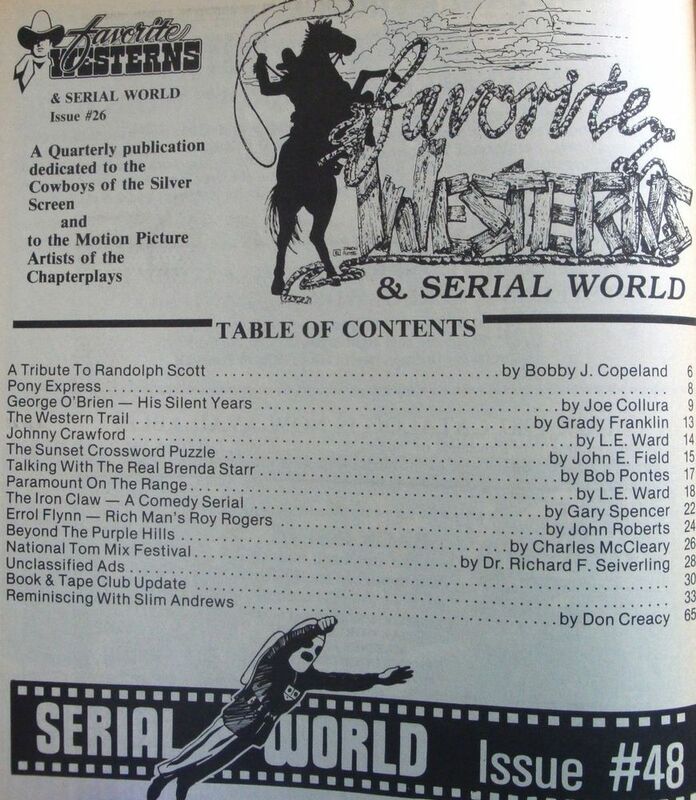 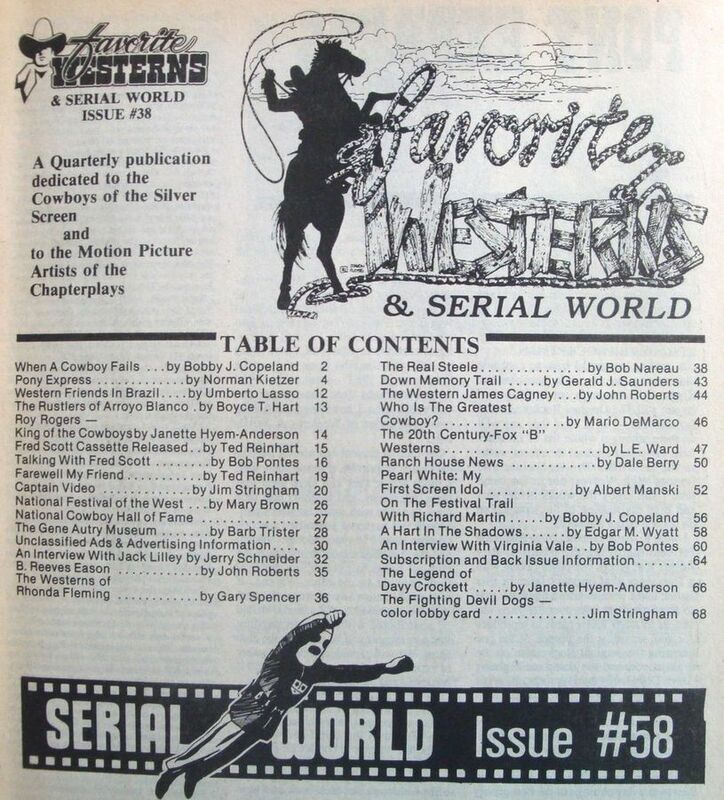 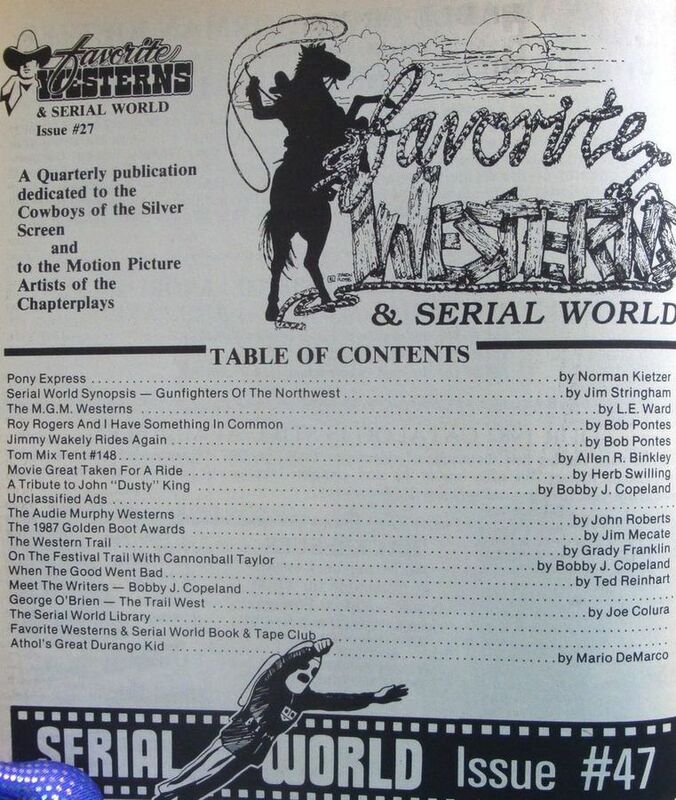 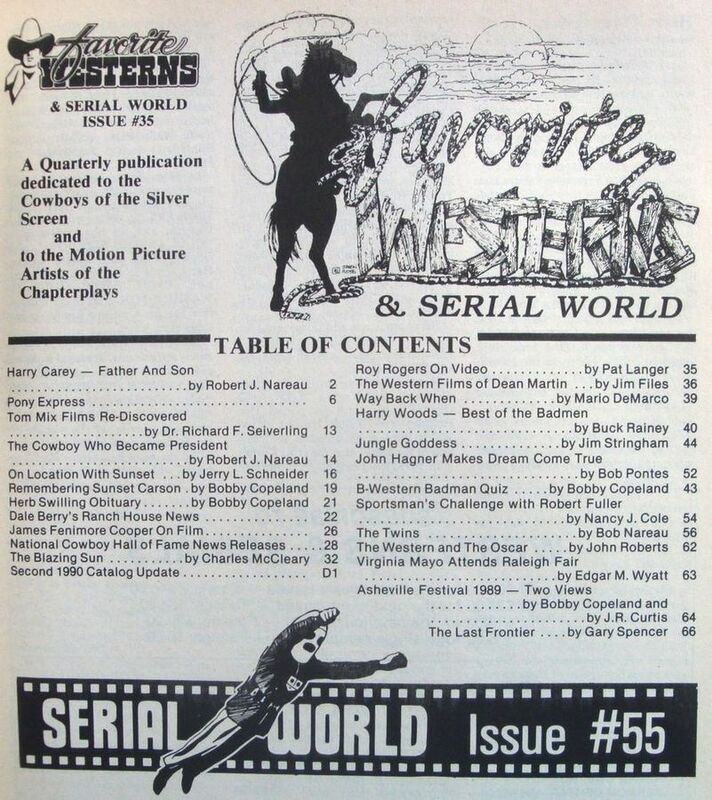 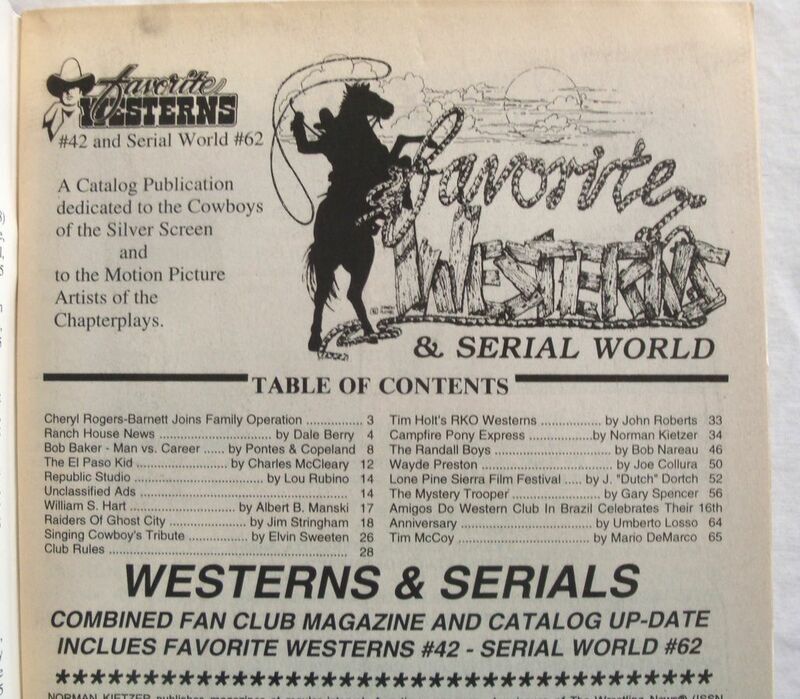 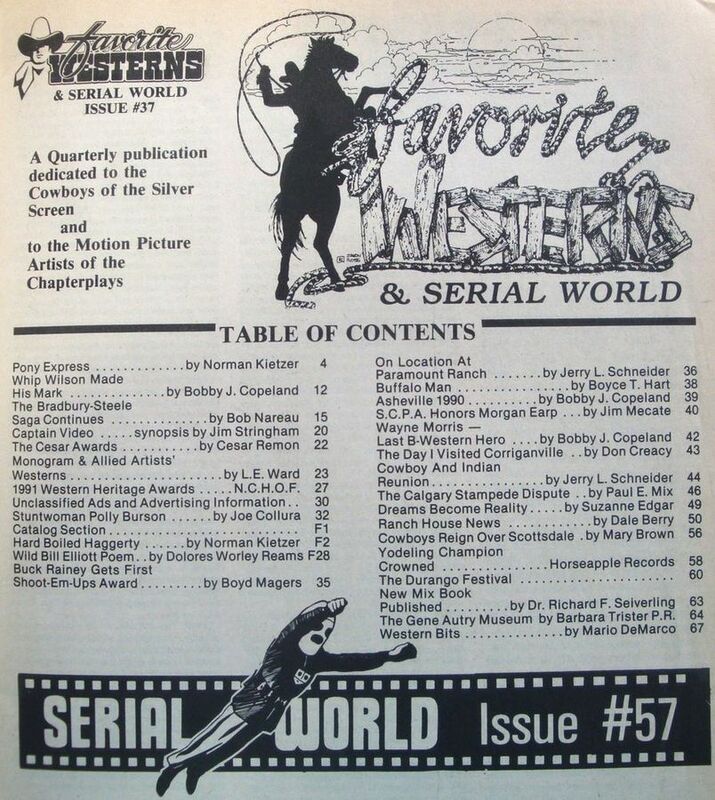 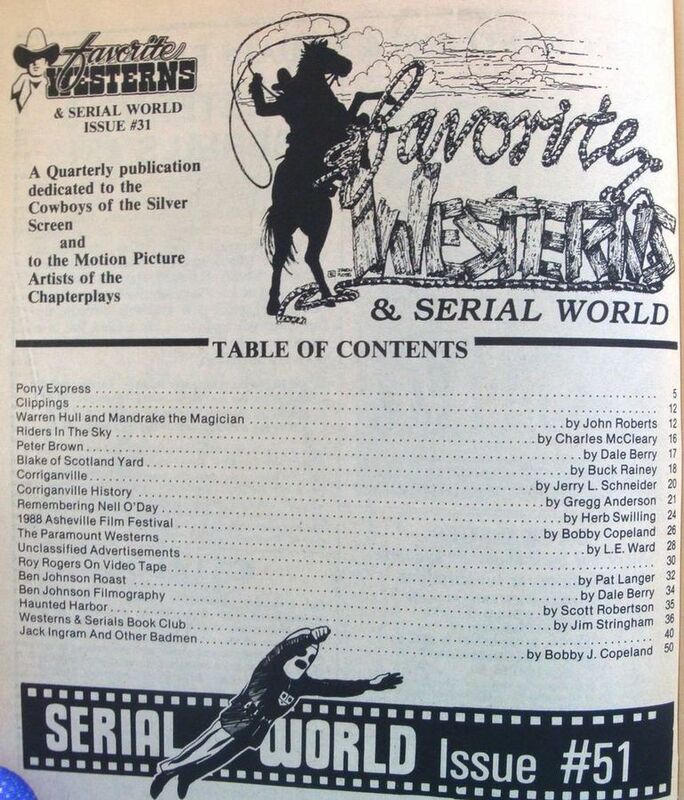 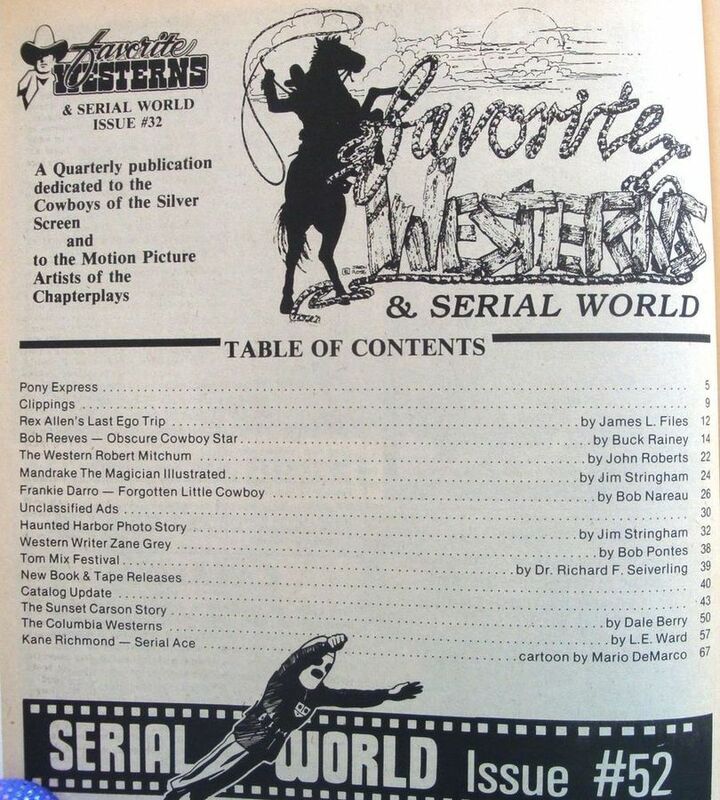 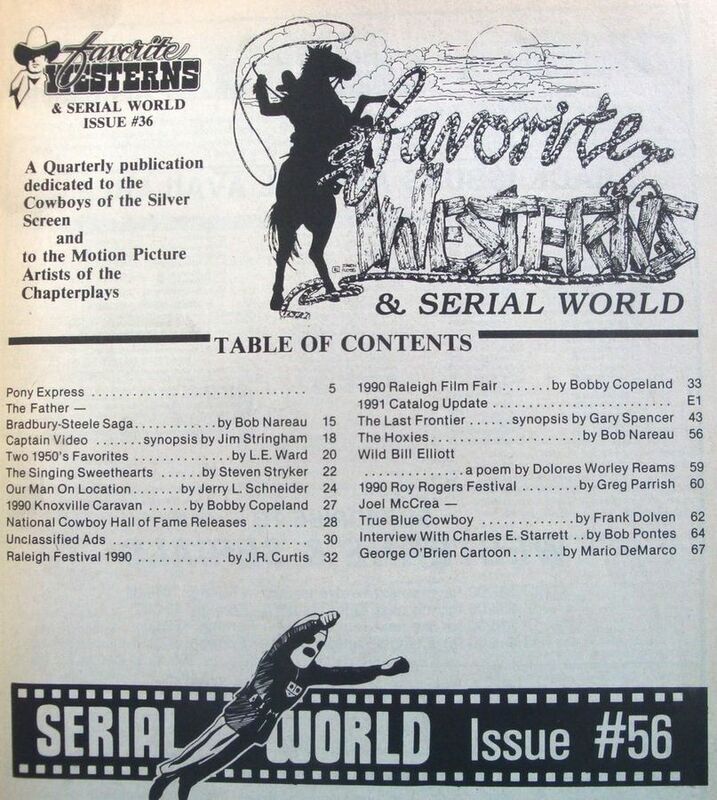 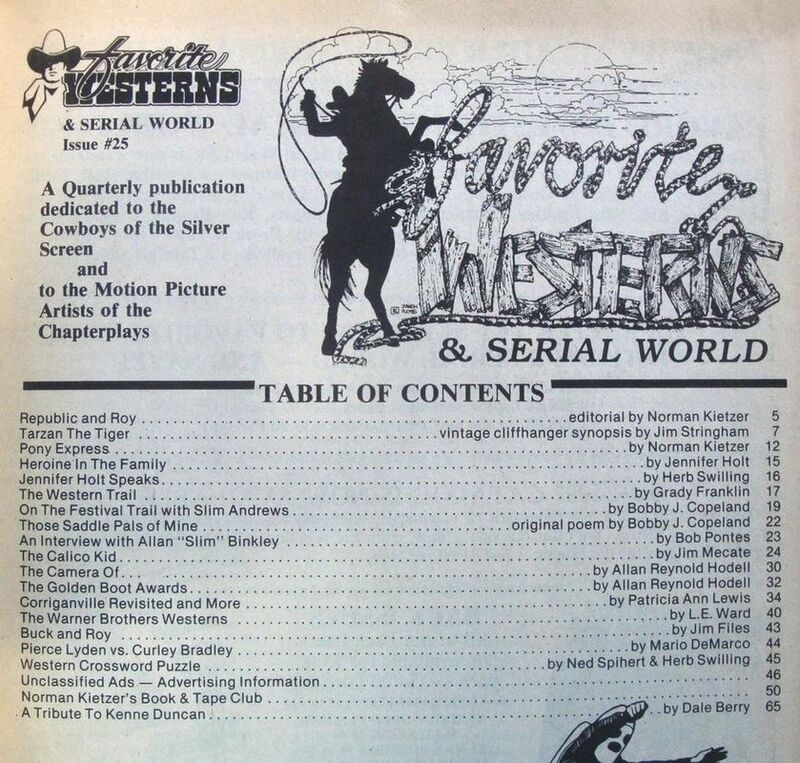 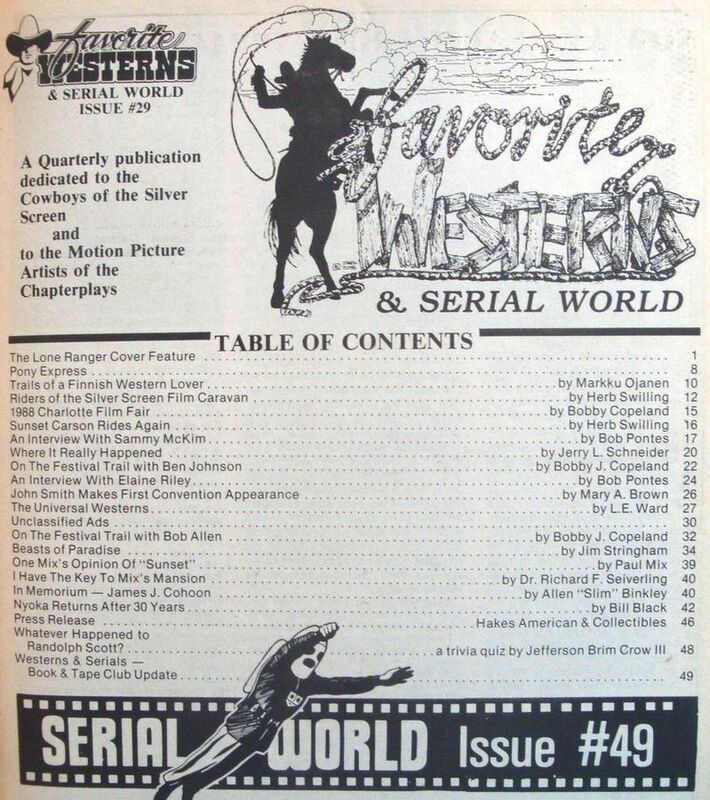 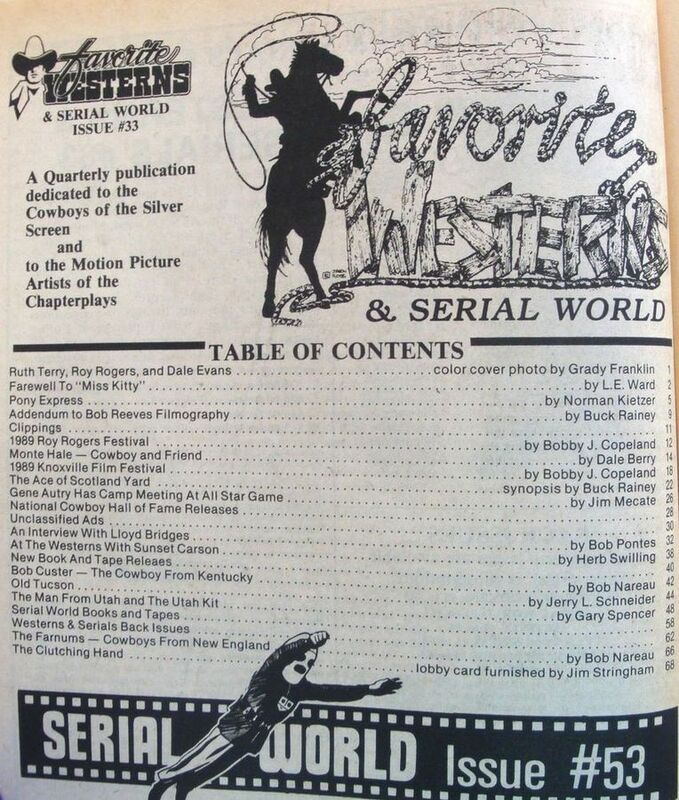 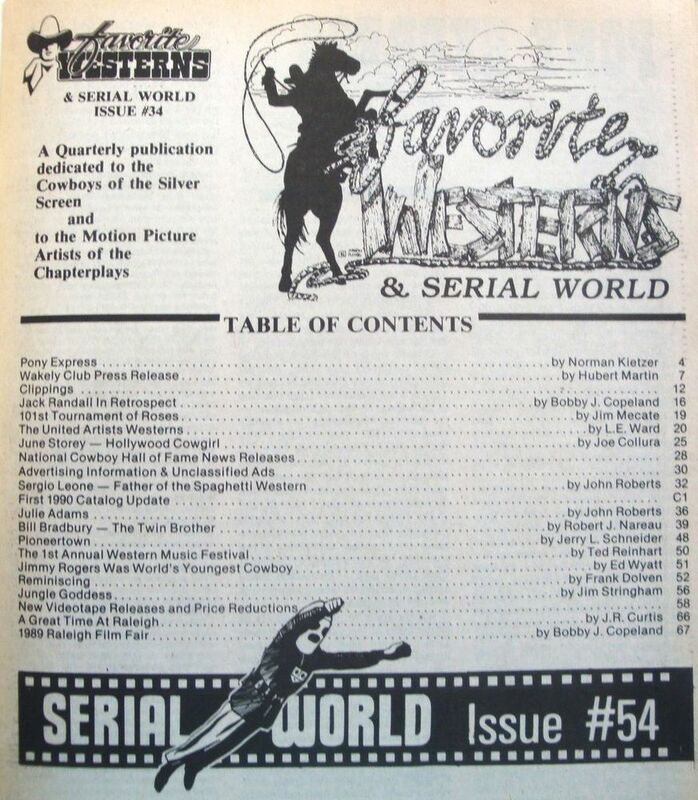 Thus, the "first" copy of "Westerns and Serials" is #18 (Favorite Westerns)/38 (Serial World) (Info: D.Z. 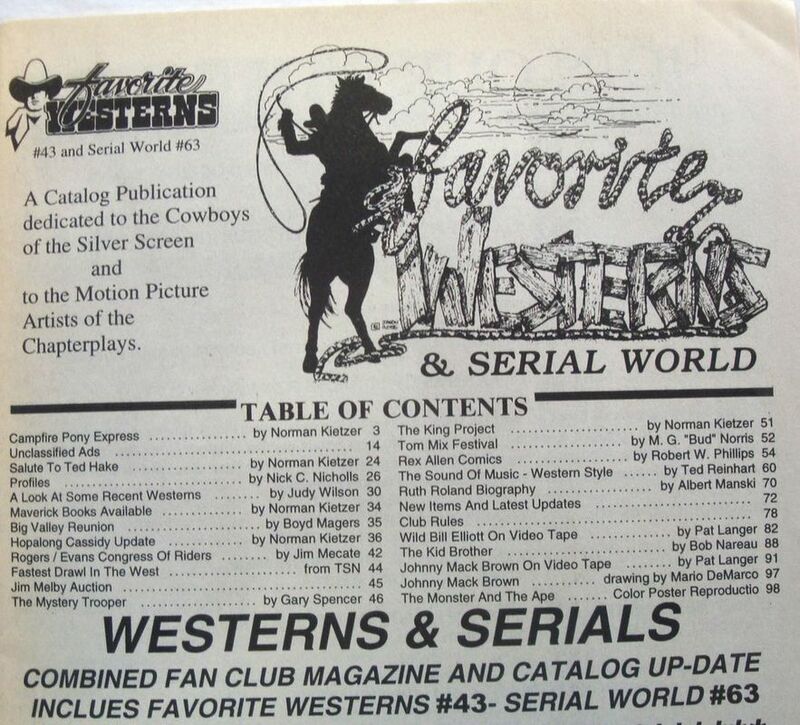 & Dave S.).